Sebastian Copeland is a photographer, explorer, and environmental advocate. Noted as a photographer “who has produced works that are of outstanding artistic merit and communicates messages of urgent global significance,” Copeland was twice named Photographer of the Year: in 2007 (IPA) for his first book Antarctica: The Global Warning (Earth Aware 2007) and in 2016 (TIFA) for his latest book Arctica: The Vanishing North (teNeues 2015) which covers ten years of photographic exploration of the far North. 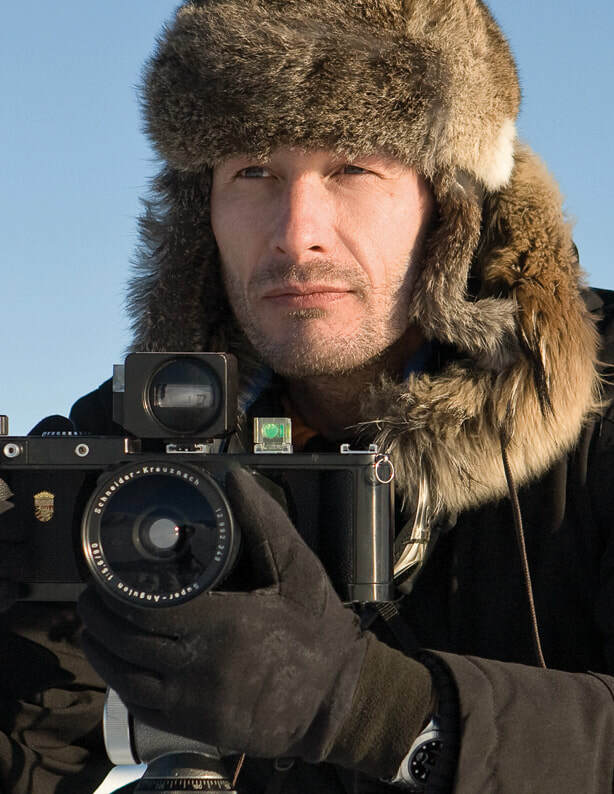 He has also produced documentary films chronicling his North Pole and Greenland crossings. Copeland has led expeditions across the Arctic sea, Greenland and Antarctica, and has reached both poles on foot—North and South. With over 8,000 kilometers under his skis, Copeland holds various records and polar “firsts” across the polar region. In 2017, Copeland was named one of 25 of the world’s top adventurers of the last 25 years. An international speaker on the climate crisis for more than a decade, Copeland has addressed audiences at the UN, at universities and museums worldwide, and many fortune 500 companies warning of the systemic transformations taking place in the polar regions from anthropogenic activities, and their geopolitical consequences. Copeland is a member of the Explorers Club. He sits on the board of directors of President Gorbachev’s Global Green USA.